My Roof Is Leaking | What Should I Do? Home News My Roof Is Leaking | What Should I Do? Are you cursed with a leaking roof? If your roof leaks in heavy rain, this unfortunately isn’t an issue you should simply ignore. Roof leaks can happen to anyone (and often do), but it’s important to deal with them quickly to avoid causing greater damage to your house. In this article, we take a look at the signs that your roof is leaking and the most common reasons behind a roof leak, as well as quick fixes to help reduce the damage and what to do to fix your leaking roof permanently. Your clogged gutters are causing a leak – If your gutters become too clogged, it will prevent water from travelling away from your roof and foundation, potentially triggering a roof leak. Your roof has missing or cracked shingles – If you have missing or damaged roof tiles, these must be replaced as soon as possible to stop the leak. Your flashing is causing a leak – If you have a chimney, the leak may be caused by flashing at the base of your chimney, which has rusted, cracked or not been sealed properly with roof sealant. Your roof vent is damaged – If your vent has cracked, rusted or has broken seams, it can create a leaking issue. Your skylight is leaking – If your skylight has a leak around the rubber seal bordering the glass, water may run inside and drip into your home’s interior. Your roof valley is punctured – A leak can happen when the roof valley (either the valley metal or shingles) have been damaged. Your roof membrane or roof sarking was poorly installed – If your roof membrane or roof sarking has been improperly installed, it may be punctured over time, creating a leak. Your roof is old – As the materials in your roof exceed their life expectancy, they will start to break down and this can compromise the integrity of your roof. If this is the case, it may be time to replace your roof or re-apply your roof waterproofing. The first step to deal with a leak is to protect your possessions from water damage. Immediately move any furniture, rugs, electronics and possessions away from the area, ideally into a different room. If this is not possible, cover your furniture with plastic or tarp. If you have a bucket or two, now’s the time to make use of them! Position them directly underneath the leak to catch the incoming water. If your leak is rapid, grab a second bucket to switch in when the first bucket needs emptying. Attempt to soak up as much of the water as possible using old towels or mops. Turning on a fan can be helpful as this will help circulate air through the space to dry out the area and prevent nasty mould from growing. Most mould is harmless, but certain strands of mould – especially black moulds – can cause a range of unpleasant or dangerous symptoms in humans if the spores are inhaled or ingested. Of course, the above solutions are only short term fixes! If your roof leaks in heavy rain once, chances are it is bound to happen again. If left unchecked, roof leaks can wreak massive damage on your property. That’s why it’s important to seek professional help as soon as possible. We recommend making sure your contractor is licensed, insured and has a wealth of experience and happy customer testimonials. Once they perform the roof leak repair, ask them to provide specific maintenance instructions to keep your new roof in good condition. What Will My Roof Leak Repair Cost? The cost for fixing your roof leak will ultimately depend on the extent of the damage, and what will need to be replaced, repaired and sealed. 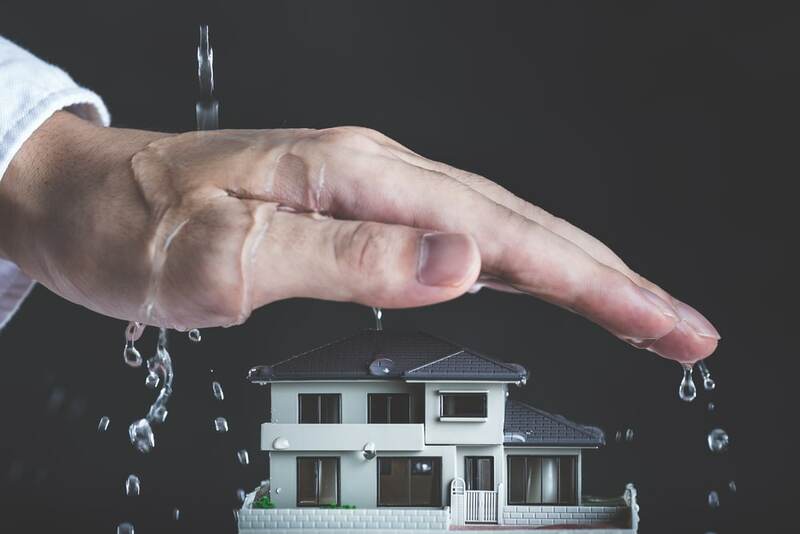 In our experience, a standard homeowner’s insurance policy typically covers water damage and roof leaks, unless the leak is a result of negligence. We recommend getting in touch with your insurance company to confirm whether your insurance will cover the damage. 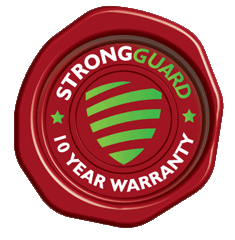 At Strongguard, we offer a free quote and a ten-year workmanship guarantee on all of our roofing work. If you’re looking for peace of mind, we are the best option, with over 20 years of experience as roofing contractors in Brisbane.